You would think that something this cleverly designed is only available in commercial outdoor pools. But that is not so. 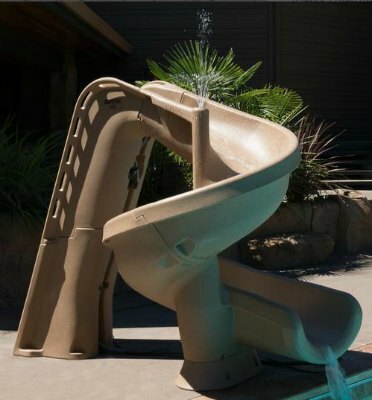 The SR Smith Helix 360 Degree Adventure Ride Pool Slide is the newest slide that brings all the fun in commercial parks right into your own home. The flume’s design with its 360-degree turn is sure going to bring lots of fun to kids and adults alike. The size of this slide is also small enough that it could easily fit even in small yards with small pools. I’d say, it’s a pool owners dream. And the price? you won’t believe how cheap it is compared to other slides of this caliber. One of the main advantages of the S R Smith Helix pool slide is that it has a small footprint. It only needs a deck space of 9 feet by 5 feet. Small enough for many inground pools. Like most SR smith slides, this requires a 3-foot minimum pool depth at the exit of the flume. 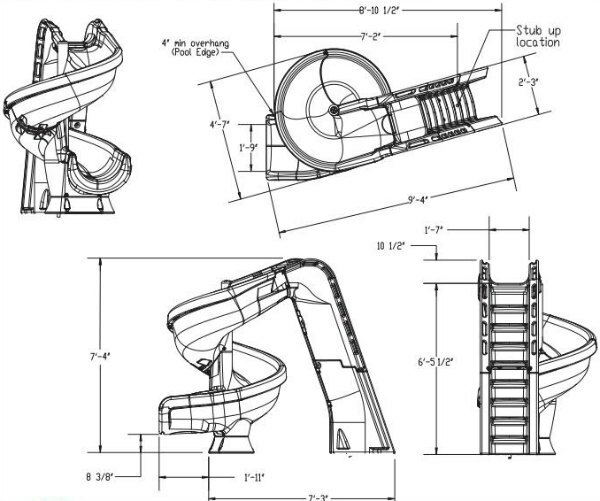 The Sr Smith Helix Water slides measures 7′ 4″. 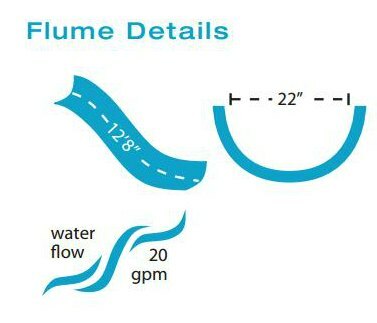 The 360-degree flume length is 12′ 8″ long and 22″ wide. Long enough for a 360-degree fun slide down the “chute” and deep enough for safety. 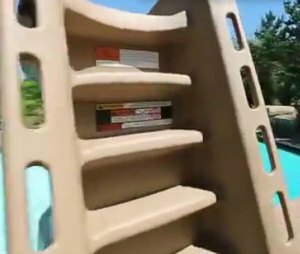 The slide weighs 250 lbs. 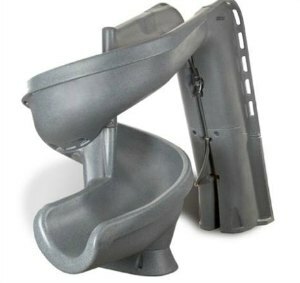 Here are some video reviews and features of the SR smith Helix swimming pool slide. SR Smith’s promotional video. Gives you an excellent view of what the Helix swimming pool slide looks like. Some pictures of the Sr Smith Helix 360 degree pool slide. Here’s a fully working Sr Smith pool slide with the water sprinkler working. The water helps makes you slide the flume quickly. Expected time to install the Helix pool is 1 hour. Make sure you read the step by step instruction manual that comes with the package. Ensure that you have all the parts necessary for building the slide. If not, stop installation and call Sr Smith customer support who’s very helpful to send you any missing parts.